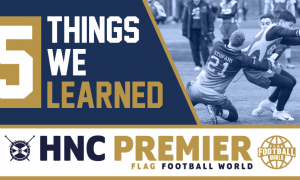 With the excitement of the 11th annual instalment of Europe’s biggest flag football tournament ratcheting up and the reveal of this year’s groups, we wanted to bring you our analysis of every group and predictions for this year’s tournament. While we could write articles on each team however in the interest of time, we have decided to focus on what each of our UK compatriots will face while highlighting the top contenders for this year’s title. 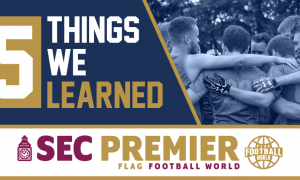 If you would like to know more about some of the clubs taking part then watch out for our team features that will follow over the coming weeks. One interesting development to note: historically, one of the biggest (read: only) gripes about Big Bowl, particularly from the top teams, was the host’s alleged “stacking” of the tournament, to give themselves a more favorable draw. 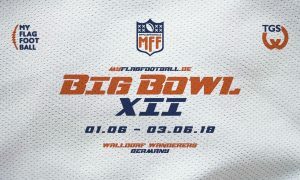 The most egregious offense probably occurred at Big Bowl IX when European powerhouses Allerod Armadillos, London ExPads, Israel, Mayhem, and Dutch Lions were all “drawn” to the opposite side of the bracket to the hosts. Last year marked an improvement in scheduling balance and this year, they’ve done even better. It seems that each group was intended to have two known elite teams, two known good teams, and two weaker or altogether unknown teams. However, don’t go presuming that each group’s fate is sealed. Last year an “unknown” team called the Buttonhookers surprised on day one, winning their group comfortably in an impressive showing. The lesson as always: beware the unknown… Lets take a look at the first two groups. Just when we get done highlighting how much fairer the draw has become, we take another gander at the host’s group and are left a touch…underwhelmed. To be fair, the amount of time and effort put into scheduling such an enormous event cannot be understated and Walldorf has every right to reward themselves with a more straightforward path to the knockout rounds than most. Plus, let’s be honest, just about every flag tournament ends with the host team “randomly” ending up with an easier draw. We also shouldn’t just hand Walldorf five easy victories off the bat. 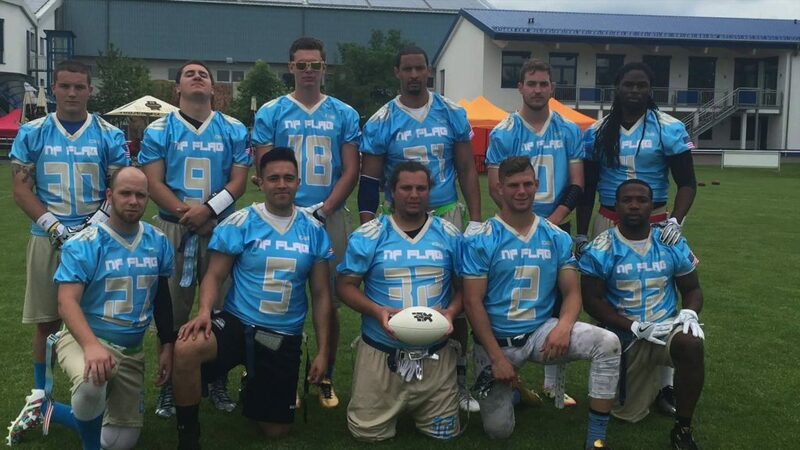 While they boast one of the top 3-4 QBs in the tournament in the towering Benjamin Klever, they also have to deal with the Spanish Champions Milicia Astur and upstart UK side Hereford Stampede. As newcomers to Big Bowl, the Stampede should be thrilled with their draw. 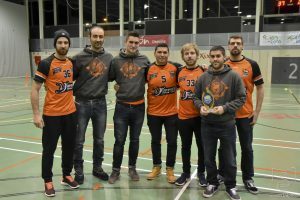 Milicia Astur, while strong, cannot match the firepower of last year’s 8th place finishers and fellow countrymen “The Spaniards,” while Walldorf doesn’t feature the depth of some the other elite teams. Bottom line, it would be shocking to see Walldorf fail to progress from this group. However, it certainly isn’t unthinkable to see Milicia Astur finish anywhere between first and third. As such, the Milicia Hereford tie will shape the top of this group. Outside of this, we are most looking forward to whatever colorful getup the NuOla Waves come out with this time. Last year’s lederhosen look followed by their sporting kilts at Flagging New Year have set the uniform bar high for this fun bunch. 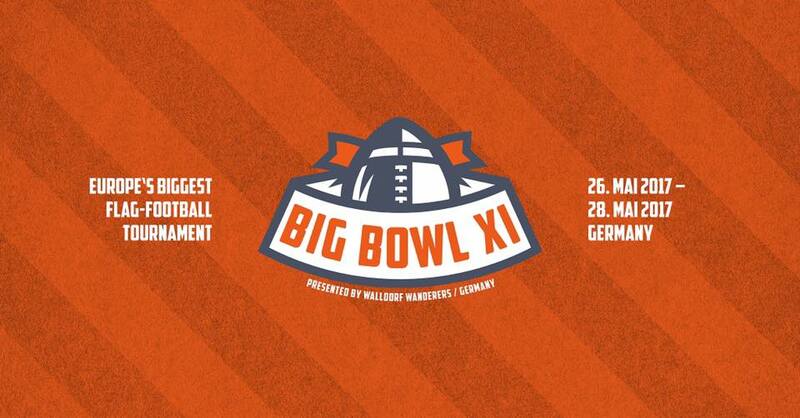 Group B is as intriguing as it is deep with the first four teams boasting plenty of Big Bowl experience. The Lizzards are the “other” German powerhouse, posting 7th and 2nd place finishes in the last two editions of this tournament. 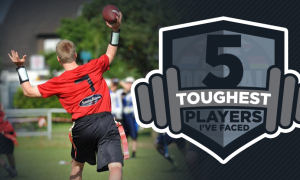 While they won’t bowl you over with elite athleticism, you will be hard pressed to find a team that executes better. Speaking of bowling you over, NP will do just that. The Americans hail from the North Philadelphia contact leagues and were easily the most physical team at Big Bowl last year. More than that however, they are elusive, fast, and extraordinarily athletic. 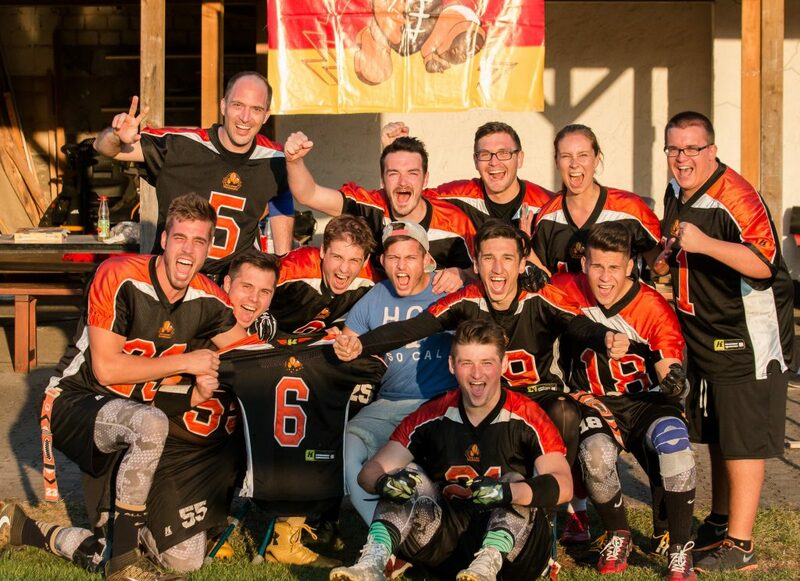 A two point quarterfinal loss to the excellent Copenhagen Fusion was the only blemish during their run to 5th last year. If NP want to improve upon that finish, they will need to overcome the injuries to two key players from last year’s squad, including captain and center Mike Reimel. Mike’s brother Jeff and the seemingly uncoverable Brandon Quinn will be asked to carry more of the load this time around. I anticipate they will rise to the challenge. While the Lizzards and NP are clear favourites to progress, the rest of this group will not make it easy. 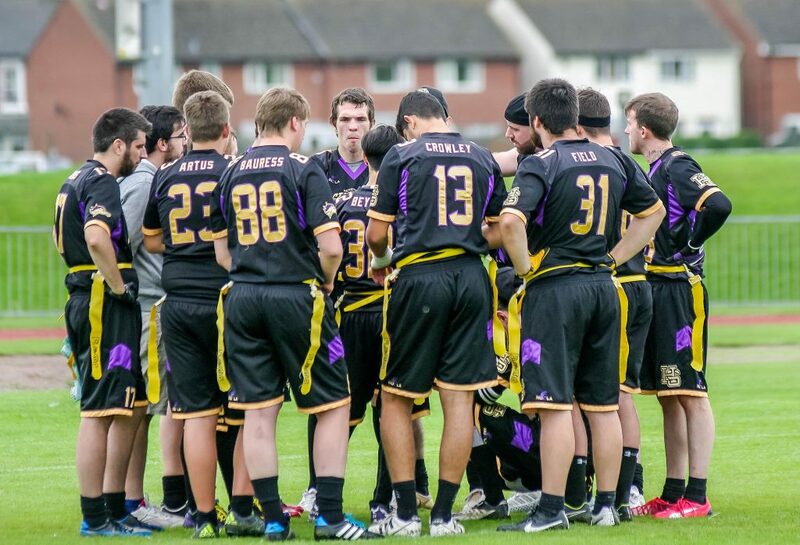 Capricornes toil in the strong French league and are no strangers to this tournament while the Tomahawks boast plenty of size and can certainly inflict some damage. Don’t sleep on them as brutal draws the last two years have led to middling finishes and understated their talent. The team with the most potential to shake things up in this group though? The Stormers. Remember when we said beware the unknown? 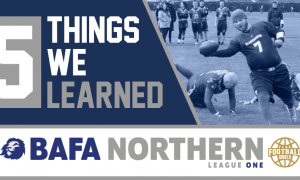 Made up primarily of players from the same London league that brought you the Buttonhookers, the Stormers have talent on both sides of the ball. They cobbled together an impressive 8th place finish at Pink Bowl despite some of their players only meeting each other on the day. With more time to prepare, the Stormers could absolutely put a scare into either of the two group favorites. With running 12 minute halves, anything is absolutely possible.